On Saturday (July 16), 2011, NASA Dawn Spacecraft arrived at the huge asteroid Vesta, making it the first spacecraft ever to orbit an object in the solar system’s asteroid belt.The Dawn spacecraft entered orbit around Vesta after a four-year chase and will spend about a year studying the huge space rock. Vesta is a huge, it’s 330 miles (530 kilometers) wide and the brightest asteroid in the solar system. It is located in the asteroid belt, a band of rocky objects that encircles the sun between the orbits of Mars and Jupiter. Astronomers don’t understand until now why the asteroid is so bright and they hope that Dawn will answer that and other mysteries of Vesta. After studying Vesta in unprecedented detail, NASA Dawn Spacecraft will leave this orbit and moving on to visit another asteroid called Ceres. This is an object so big it is the largest asteroid in the solar system and officially designated a dwarf planet. Ceres is about 590 miles (950 km) wide. 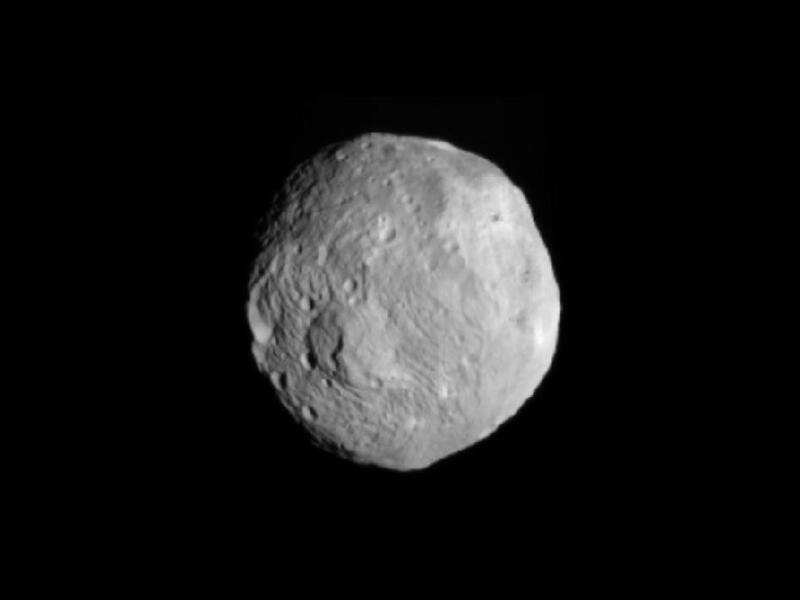 According to NASA’s specilatists Dawn will arrive at this target in 2012.